Dear A. You’re seventeen years old and the world is a great place to be right now. Especially London. During a conversation with Boswell in September 1777, the famous diarist Samuel Johnson once said “when a man is tired of London he is tired of life, for there is in London all that life can afford.” Now I know that patience isn’t really a virtue possessed in great abundance by the young, but it’s a skill best learned through practice. The Bedouin of the Sinai make honey, hanging the honeycombs in fine muslin bags. The honey drips through incredibly slowly, but they never squeeze the bag to make it flow faster. If they did, the honey would streak and contain impurity, which decreases its value. So, they wait. Now, even though I’m old, tear yourself away from whatever you’re doing, please bear with me and try not to stop reading until you get to the end. 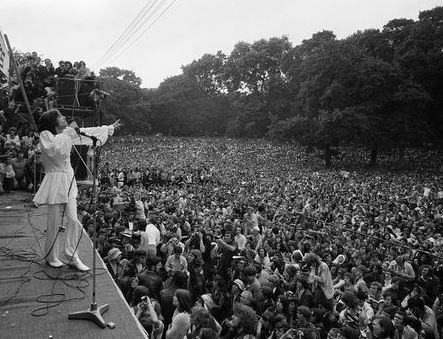 When I was seventeen, the Rolling Stones performed in Hyde Park and I was there. I suppose I didn’t much care that I’d been forbidden to go, since I got caught at the train station on the way home and had to mow my housemaster’s lawn as a punishment. I’m sure you have a greater respect for authority than I had when I was your age. Which really brings me to what I want to say. This afternoon I was cleaning my pool, which is a slow, deliberate process that can’t be rushed, and I found myself wondering, had I been given a piece of advice when I was seventeen, what would it have been and how would it have changed me? Advice, of course, has the great merit of being free of charge, so, listen up, because it’s not going to cost you a penny. 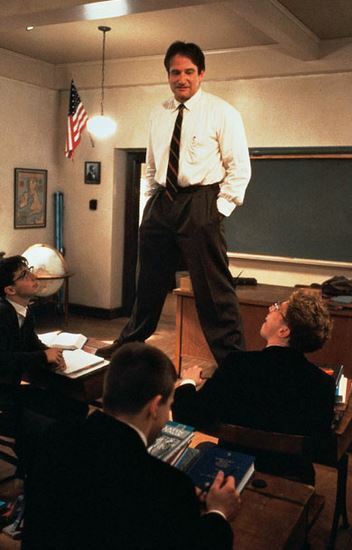 I wonder if you remember the movie – ‘Dead Poets Society’ – click for the trailer. Robin Williams played an iconic teacher who was finally dismissed from an exclusive private school for boys because his teaching methods were, let’s say, a little unorthodox. Get to see it. It’s worth the time. He quoted the Latin phrase ‘carpe diem’ to his class which I had first heard years before, having had to translate it at school. It means, as I’m sure you know, ‘seize the day’. Horace (65 BCE-8 BCE) was one of the world’s greatest lyric poets. He used this phrase in an epic poem in which a man was encouraged to forget his mourning and embrace life to the full. carpe diem really means ‘grab the opportunities and make the most of the present moment’. Instead of pondering the past – even beating yourself up about it – or worrying about the future, the poet encourages us to live in the here and now. People of my age need to hear it too because we can waste so much time reflecting on the past, the things that happened, why they happened to us, what we did wrong and so on. Conversely, young people spend a lot of time daydreaming about a brighter future, about the things they’d like to do or become one day. Nothing wrong with that, but, y’know what? Yesterday is gone, tomorrow isn’t here yet, and today is your only chance to make a difference. So, make the most of it. It’s a good idea, as well as good psychology, to see each day as both a gift and an opportunity. You can use it to enjoy life, to get something started or completed. The present moment is the only time in history that you personally can use to do something worthwhile and to change the world for the better, small step by small step, using the things you’ve already learned. Which brings me to what I want to say next. Most of the stuff you actually have to learn in school is completely useless. Think about it – when was the last time you actually needed to solve a quadratic equation? At the gym, perhaps? Or the restaurant? Er, no. Now, I’m not bashing education; the task or process of learning things that don’t seem to make much sense is sometimes more important than the material itself. So, what have we learned that is really, really useful and will last us a lifetime, and where did we learn it? Kindergarten. That’s where. I want to encourage you to click on this link – yes, it’s in bold type for a reason – I really, really want you to read it because I couldn’t say it better myself and if you genuinely want to make something of yourself, you could do a lot worse than start right here.